When I stay at my parents, one of my favorite things to do is play Barista and make everyone a latte. 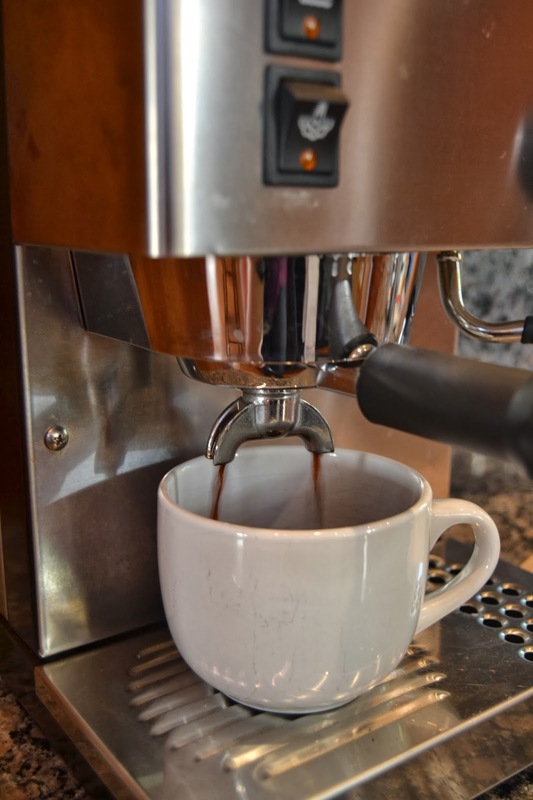 Since we don't have an espresso machine, it feels like such a treat! Over the years, I've perfected my recipe for the perfect vanilla latte so I thought I'd share it with you. It's pretty simple, although I'm still perfecting my foam skills and I'm not sure latte art is in my future. But they taste good! That's what counts, right? 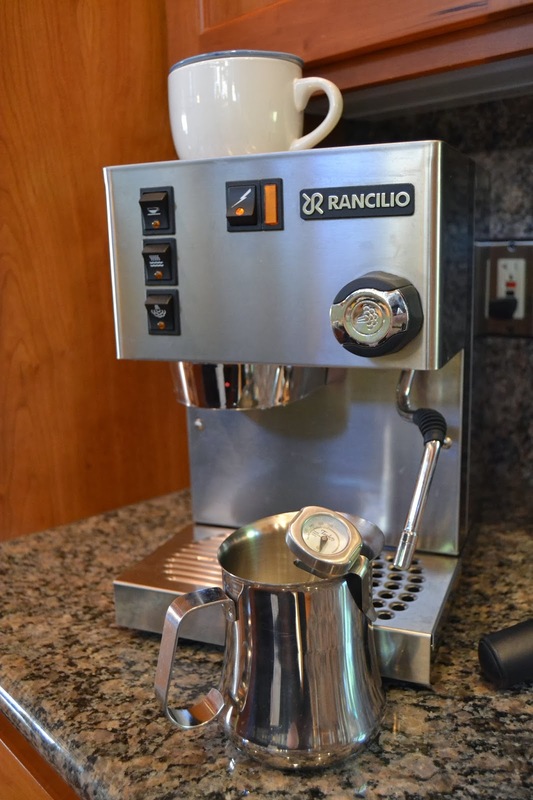 Before you get started, turn on the espresso machine so it can heat up. Most importantly, start with quality coffee that has been ground for espresso, Andrew and I love Pete's! Next tamp your coffee. 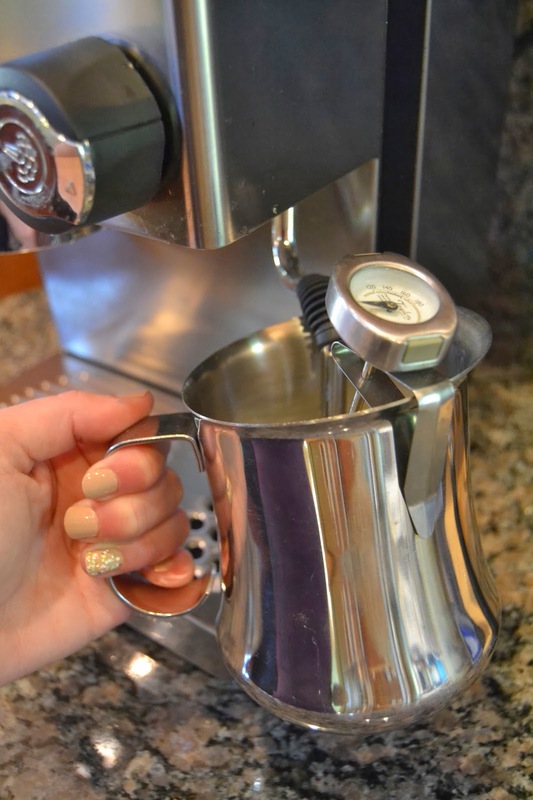 You want to apply a good amount of pressure to pack the coffee down, if you skip this step the water will flow through too quickly, and you'll loose that rich flavor! Next secure the brew basket and turn on the espresso machine. 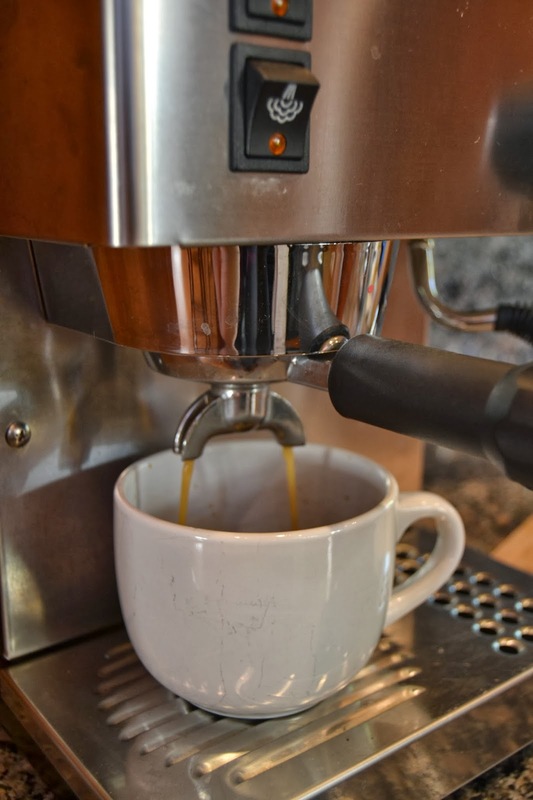 It should take about 20-25 seconds to get a double shot of espresso. It starts off dark in color, then will get lighter. There should be a crema or foam on the surface of the shot once it's finished. 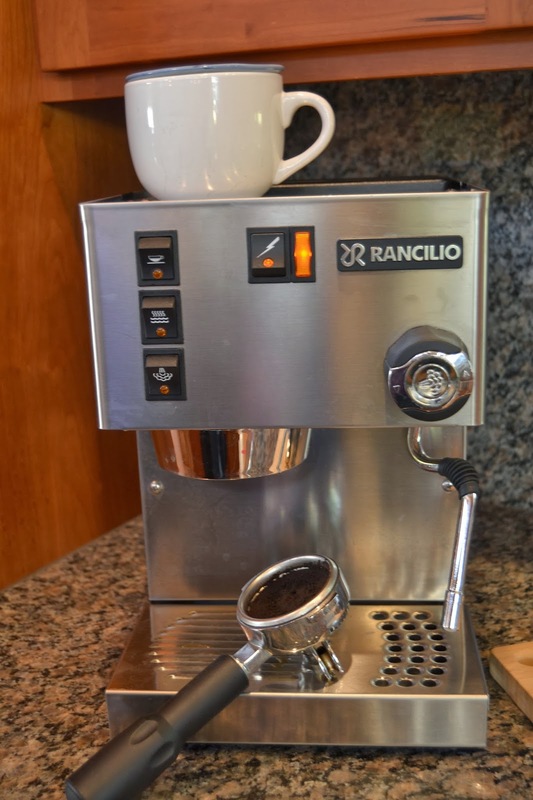 I use my Mom's trick and place the mug on top of the espresso machine with a little dish over the top to keep the espresso warm while I steam the milk. You'll need about 1 cup of milk. I like to use 1% but you can use soy, almond, full fat, or fat free. Whatever you prefer. You'll want to steam it until it reaches about 145* depending on your preference. Some people like it up to 165* but you'll need to be careful not to scald the milk. Now for my secret ingredient, pure vanilla extract! 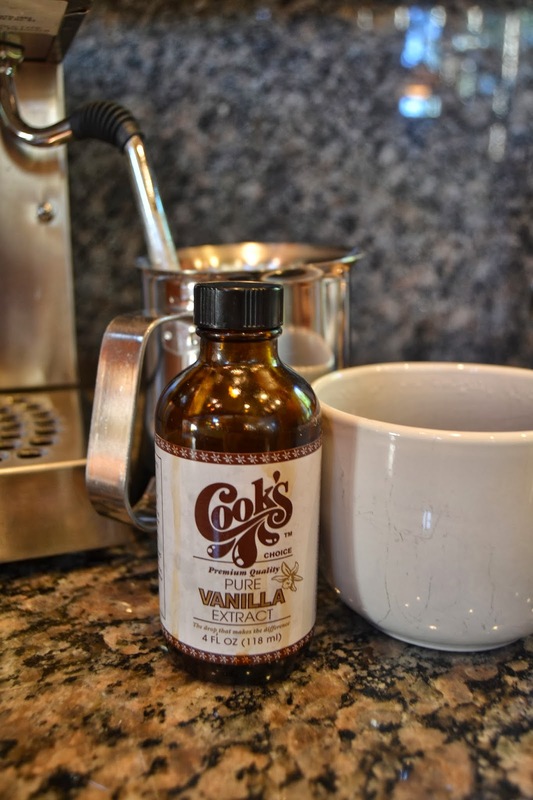 I prefer to use pure extract as opposed to the popular syrups. I hear too many scary things about what those ingredients do to our bodies. I add a splash (1/2 teaspoon or so) to the espresso, as well as 1 packet of Stevia (or your preferred sweetener). Next I pour in the steamed milk, and top with ground cinnamon. Best enjoyed in the sunshine with a nice view! 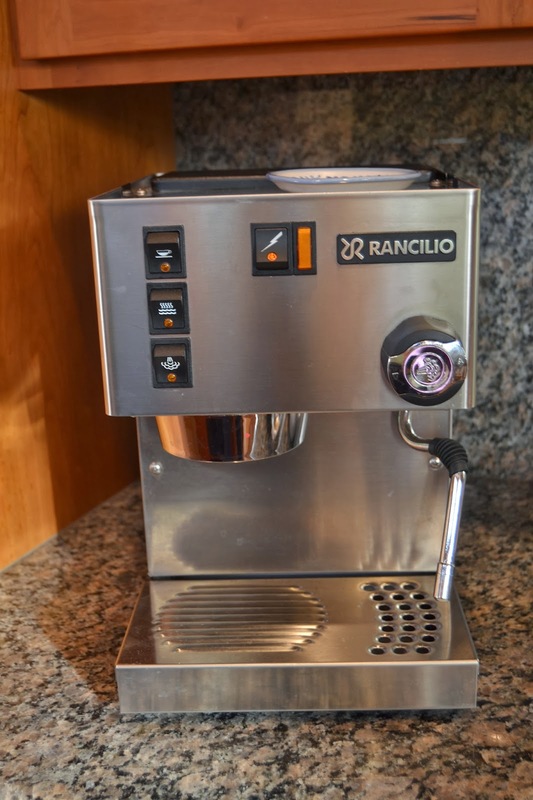 I have a Rancilio Silvia at home & at work! Great machine! My husband wanted it for years so finally after our wedding he bought one for home. He uses it almost every day, but I prefer French press to latte's. Yours looks tasty! I like the idea of using vanilla extract rather than the syrup. I will have to try that next time I make one. i really wish i had an espresso maker, but the keurig will have to do for now! It would be so fun to have an espresso machine. Way to be a pro, as a former starbucks barista, I can say well done! That looks delicious. I have an espresso machine but haven't used it in months. I think I'll be pulling her out and trying your recipe, the vanilla extract sounds amazing. 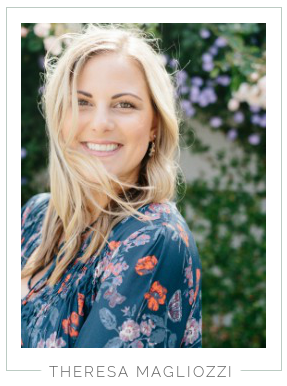 Look at you!!! Watch out Starbucks! 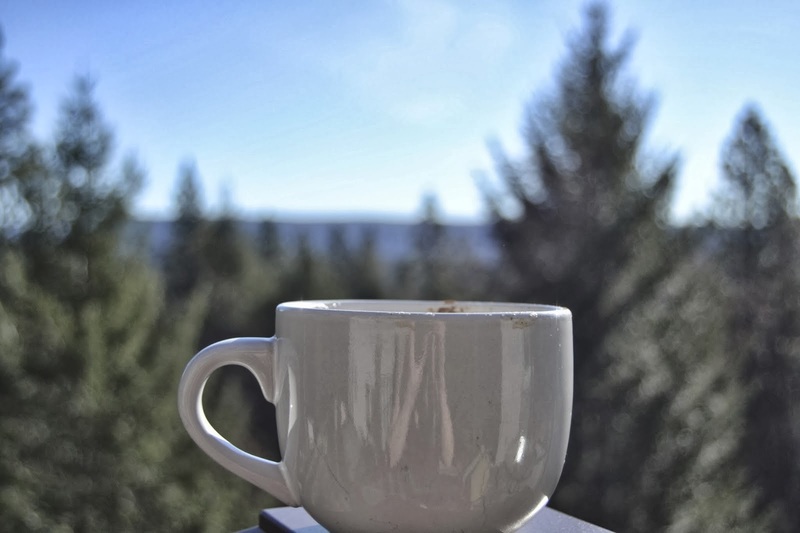 A vanilla latte sounds so heavenly right now, especially with that type of view. i live for honey vanilla lattes!!! i'm headed your way for a weekend morning latte!! cool? !